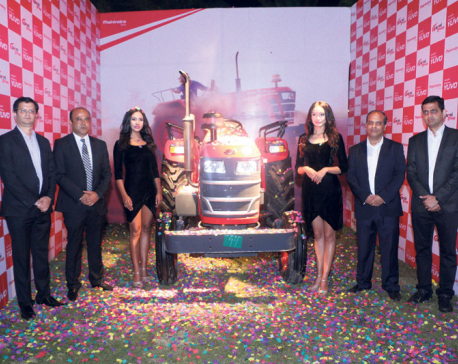 KATHMANDU, Nov 27: Agni Moto Inc, the sole distributor of Mahindra Two-wheelers in Nepal, has launched the all-new Mahindra Gusto RS in the Nepali market. Issuing a statement on Sunday, the company said that the bike has features like 109.6 cc single-cylinder, air-cooled engine that is tuned to produce 8 bhp of power and 9 Nm of peak torque. Mahindra Gusto RS comes with sporty body graphics and in two color variants, the red and white as well as the blue and white, according to the statement. The bike is available at Rs 167,500.